October 28 marked the closing of another year of competition at the international Genetically Engineered Machine (iGEM). Students in 340 teams, from 80 countries representing every continent competed, each investing their summer to develop original synthetic biology projects based around the iGEM registry of standard biological parts. The registry contained thousands of genetic parts that are both standardized and open-access, allowing for the simple construction of novel genetic circuits. Projects culminated in the Giant Jamboree - four solid days of buzz and hubbub as all the teams converged upon Boston, Massachusetts to showcase their hard work. During the Jamboree, teams split into three demographics based on their academic stage and the ages of their team members - High School, Undergraduate, and Overgraduate (those over 25 years old, who are graduates or postgraduates). For these categories, a team of 180 expert judges assessed each project using detailed criteria in addition to three key project deliverables: a wiki fully detailing all aspects of their project, a scientific poster, and a 20-minute talk. Teams were awarded medals based on achievements, and one grand prize-winning team was chosen for each category. Here, we break down the winners of this year’s iGEM event. GreatBay_China 2018 is a team of 13 high school students from the Greater Bay Area (not to be confused with San Francisco) in China’s Shenzhen region, one of the country’s technology and scientific epicenters. Their project centered around China’s emerging stray cat problem. On the team’s wiki, they explain that hundreds of thousands of feral cats live on the streets of China’s cities. Feral cats damage biodiversity, and have been linked to the extinction of 63 species due to indiscriminate killing of birds, mammals, and reptiles. Additionally, the relationship between the public and these cats is strained. There are fears that feral cats spread disease, a problem that may be exacerbated with an increasing cat population from overbreeding. China’s authorities employ trap, neuter, release (TNR) programs to humanely control the feral populations, and allow benefactors to move the animals into adoption programs. However, feral cats are hard to catch, which limits the effectiveness of control programs. To improve the success of trapping, the team looked into the biosynthesis of nepetalactone - the active ingredient in catnip. Biosynthetic nepetalactone could be a more efficient way to attract cats than growing and extracting the chemical from natural catnip. The catnip plant’s leaves and stems contain nepetalactone oil. When cats smell nepetalactone, it stimulates special receptors that sense chemicals called "pheromones." The result is a kind of chemical reaction that gives the cat a sense of euphoria or overwhelming happiness. Nepetalactone biosynthesis is complex, so the project was designed in two key parts. First, the team engineered E. coli with a multi-gene pathway, allowing the microorganism to convert a carbon source into the nepetalactone precursor geraniol. A yeast strain engineered with another multi-gene pathway then picked up the remainder of the reaction, converting geraniol into nepetalactone. A number of optimizations to their system were undertaken, including the development of stable co-cultures of both microorganisms, developing novel control systems for optimal gene expression, and the use of CRISPR/Cas9 to delete genes from yeast that lowered the concentration of reaction intermediates. mCATNIP successfully produced both geraniol and nepetalactone, a process that was then optimized to produce high concentrations of both molecules. Achieving this, the team turned to discussions with experts and stakeholders to understand how this innovation could be integrated into TNR programs. Working with animal rescue teams and groups focused on pet rehousing, the GreatBay_China team developed “kitty wonderland,” a comfortable shelter for cats that releases pure nepetalactone to attract feline visitors. Sensors then identify whether a cat is present, a door slowly closes, and an app notifies local authorities immediately. For their project, the team took home eight prizes, including the high school grand prize. 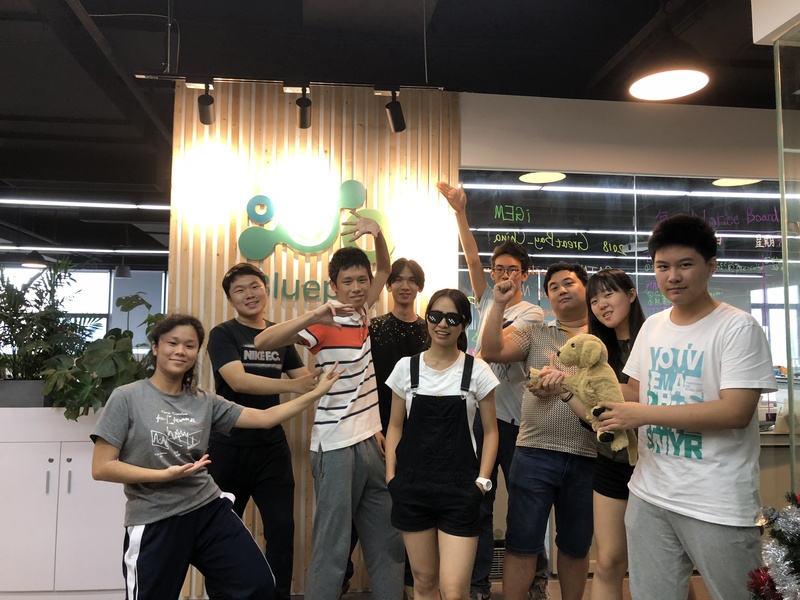 The team hopes that in the future, the learning from their project and from kitty wonderland can be integrated into China’s animal rescue programs, and that their work will positively impact the feral cat problem in China. 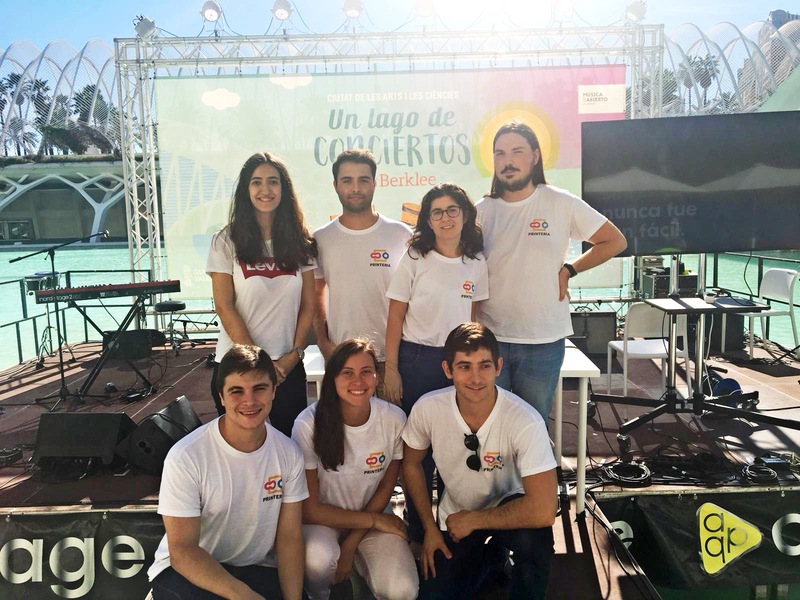 Open their wiki, and you’re struck with giant text stating, “SynBio has never been easier.” Valencia UPV, a team of 10 undergraduates from Universitat Politècnica de València in Spain, developed their all-in-one synthetic biology lab that makes synthetic biology experiments highly accessible. 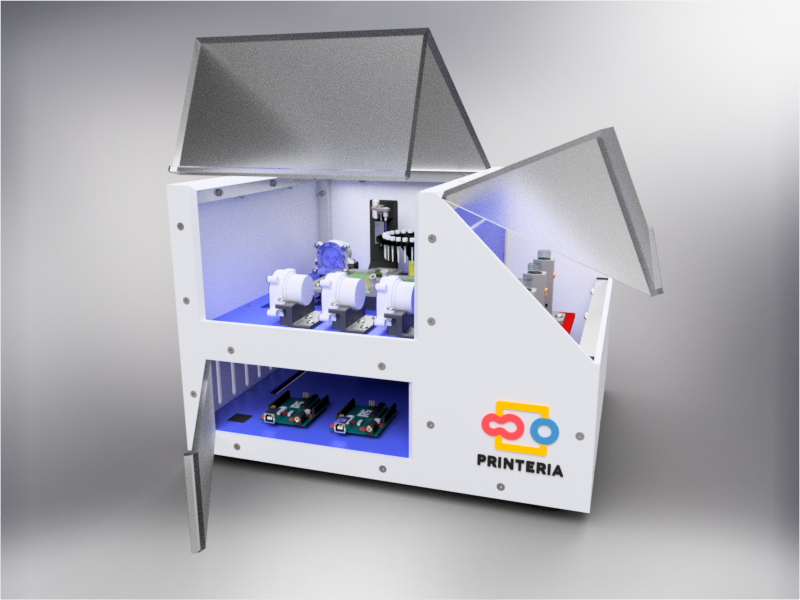 “Printeria” is a fully integrated bioengineering device designed by the team to lower the barriers to access synthetic biology by lowering both the cost and expertise required to perform standard synthetic biology experiments. Packed in a tidy white case the Printeria robot is a fully automated system that takes a researcher’s genetic pathway designs as input, and outputs a genetically engineered organism. The entire process of constructing DNA parts and cloning the organism is handled by the robot. A researcher only needs to provide the set of instructions, consumables, DNA parts and a culture of the organism to be engineered. Using an innovative digital microfluidics system, different liquids and reagents required for the experiment are shuttled around the system by changing the hydrophobicity of the surface. Modules in the machine work on each part of the experimental workflow, allowing the researcher to focus on experimental design over performance. Users interact with Printeria with a simple and easy-to-access software tool developed by Valencia UPV. A researcher will input their pathway design in a new project, and the software tool then instructs the Printeria robot to construct the pathway using a recently developed cloning method called Golden Braid Assembly. To allow users to hit the ground running, the team developed a collection of standardized, commonly used biological parts that are compatible with this assembly method. The team took pains to engage the public and integrate feedback into their design. Both functional and safety features on their machine were informed from extensive interviews with experts. Additionally, extensive surveying using a method called the Kano model was used to both define essential features and functions, while eliminating non-essential parts of their project to save time and money. One concern that came up from experts was the robot’s inability to make decisions during an experiment. If something goes wrong early on, lots of materials and time would be wasted. To alleviate this issue, the team added an option allowing a researcher to model their designed process before its construction. Two strong synthetic biology themes emerged from the conference this year: accessibility and throughput. Companies like Twist Bioscience are making cost-effective synthetic DNA highly accessible. Also, initiatives like iGEM have promoted the standardization of the genetic parts that make up pathways, to the point where high schoolers can easily develop synthetic biology projects. Now, synthetic biology must turn to tools for efficient development of metabolic pathways to enable smoother roads to market. 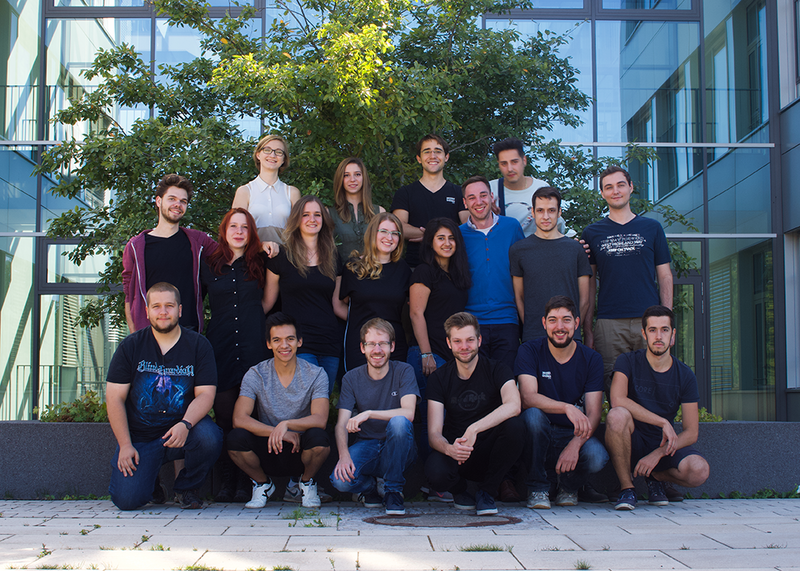 Marburg - a team of 15 overgraduate-level students from Germany - developed VibriGens, that produces a new lab-strain of microorganism to significantly reduce timescales for synthetic biology research. E. coli is the molecular biologist’s organism of choice as it’s easy to culture and undergoes asexual reproduction in around 20 minutes. Growth overnight produces a dense culture of cells with high enough DNA concentrations to allow work downstream. On a really good week with all experiments running smoothly, it will take a researcher about three days to integrate and validate a new part into the organism. Marburg has cut this down to under 12 hours by developing three new strains of Vibrio natriegens for the synthetic biology lab. V. natriegens is a Gram-negative marine bacterium that reproduces in as little as seven minutes, meaning it only takes a few hours to achieve viable cell densities. Additionally, in nature, the bacteria harvests and utilizes new genetic information from phytoplankton. Chitin in the phytoplankton cell walls induces the expression of a protein called Tfox in V. natriegens, which controls the uptake of new DNA. By removing chitin-based control from Tfox and replacing it with a simple sugar-based control, the bacteria can be encouraged to take up and utilize DNA using low-cost lab reagents. Building on these basics, Marburg developed three new V. natriegens lab strains using the CRISPR/Cas9 DNA editing system: one for DNA handling, one for protein expression, and one for studying protein-protein interaction. Conversations with industry experts guided their decisions on strain development. Marburg then validated their system by showcasing full cloning experiments in as little as 12 hours. To further develop the strain for accelerated metabolic engineering, the team devised a system for the simple chromosomal integration of genetic parts and produced a proof-of-principal, optimized pathway from 390 part variants for the generation of bio-polymer precursor 3-hydroxypropanoic acid at high concentrations. V. natriegens is set to change the face of synthetic biology, rapidly accelerating development times, allowing for increased experiment volumes and improved penetrance into the market. Throughout their project, the Marburg team focused on highly accessible science by working closely with local institutions for the visually impaired and the blind. They found that only a very small percentage of visually impaired students choose to study science, in part because science is difficult to access for people with limited sight. Working with local organizations and institution experts, the team ensured that all forward-facing work on their wiki was barrier-free, so anyone is able to access and benefit from the information. The team constructed their wiki to be accessible with standard tools the blind and partially sighted communities use to surf the web. They also developed a comprehensive guide so other teams can design accessible content in the future. For the competing students, iGEM offers an incredibly rare opportunity - research without risk. Students are able to develop, undertake, and refine synthetic biology research projects entirely of their own design, which produces a culture of rapid innovation and tight-knit teamwork. iGEM 2018 showcased some excellent science, and moreover, highlighted the synthetic biology community’s strengths in responsible innovation and the translation of benefits to the wider public. Many teams held dialogues with both experts in their field and members of the public who are stakeholders in their projects. This tradition serves to provide avenues for thorough impact analysis in their projects, promoting safer, clearer science, and builds a bridge between the scientific and non-scientific communities. Twist Bioscience is proud to be a part of this community, and we’re excited to see what iGEM 2019 has in store! Featured image: iGEM 2018 from above - every team at the Giant Jamboree closing ceremony. Source: iGEM.org. All images are available on iGEM wikis licensed under CC by 3.0.